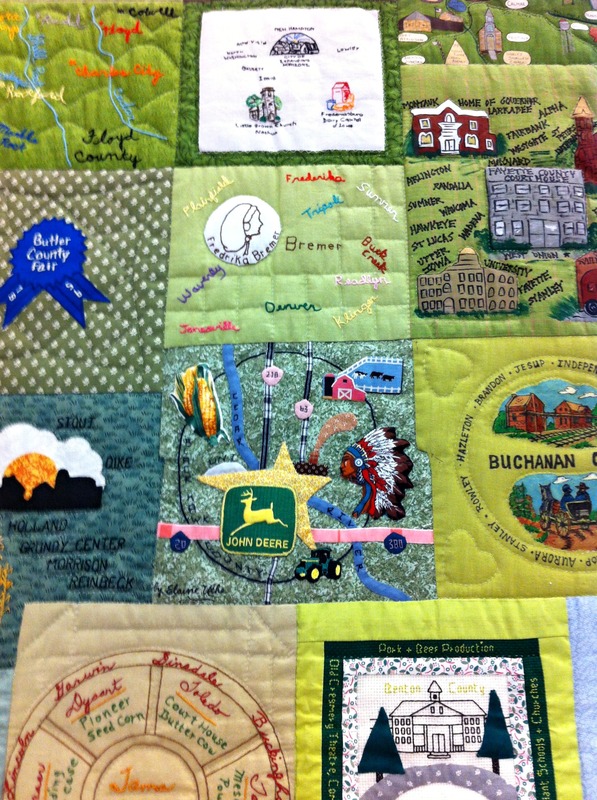 The one with the John Deere logo is where I grew up, Black Hawk County, home of John Deere Tractor Works and the University of Northern Iowa and named for Sauk war chief Black Hawk. 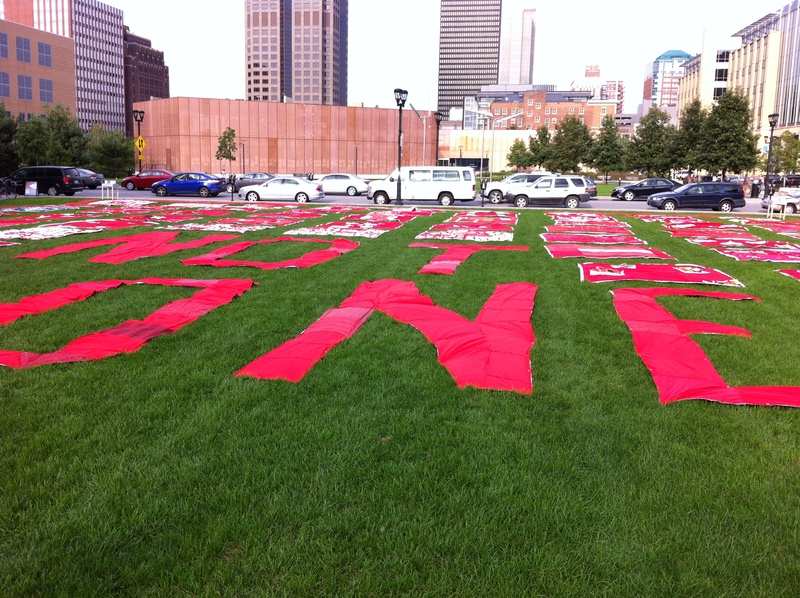 I was glad we got to see this, I’m not sure if it is on a semi-permanent display or not. But we both enjoyed looking it over for little details and surprises. Happy Birthday to my big brother, Steve, today! 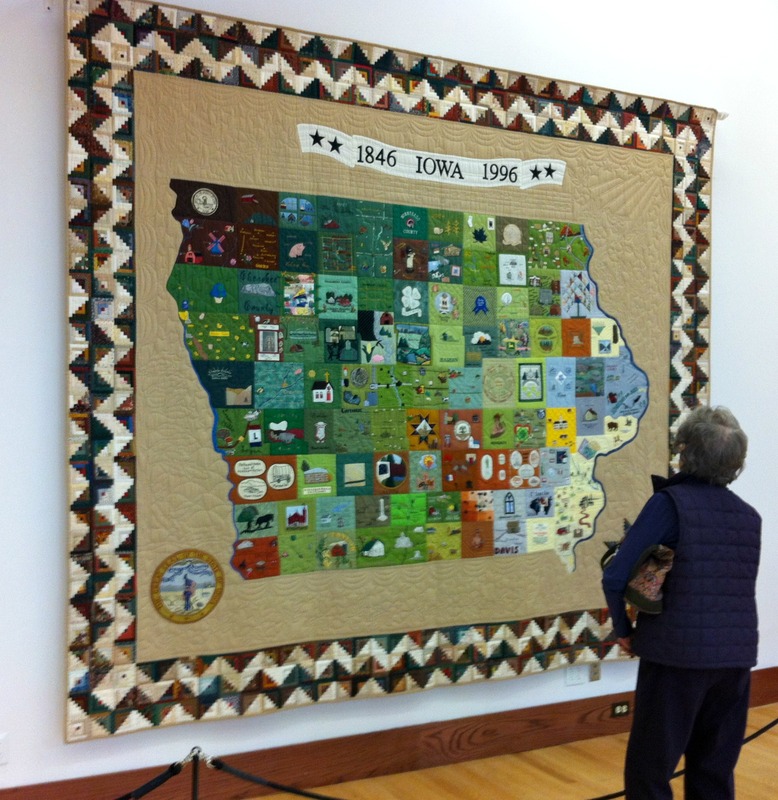 Last January, we saw a wonderful quilt exhibit, on display at the Iowa State Historical Society briefly last winter. 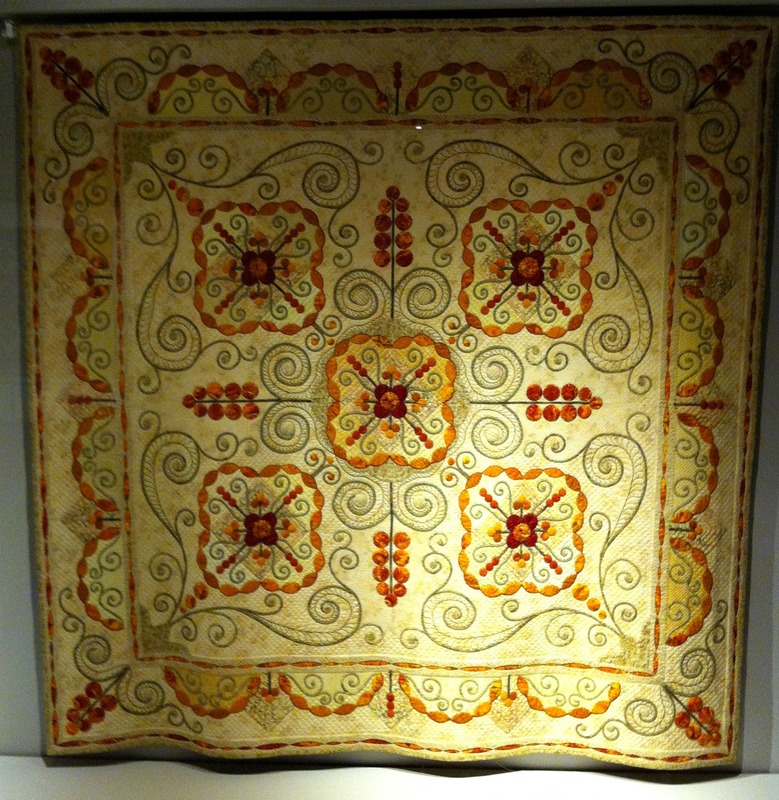 This exhibit traveled to six cities in China between Sept. 2012 and Sept. 2013 as a showcase of American textile traditions created by 25 American quilters. Des Moines, Iowa was its first stop in the United States. And, though my photos were taken in January 2014, the exhibit is still traveling and as a matter of fact, opens today at the The Foundry Art Centre in St. Charles, MO. 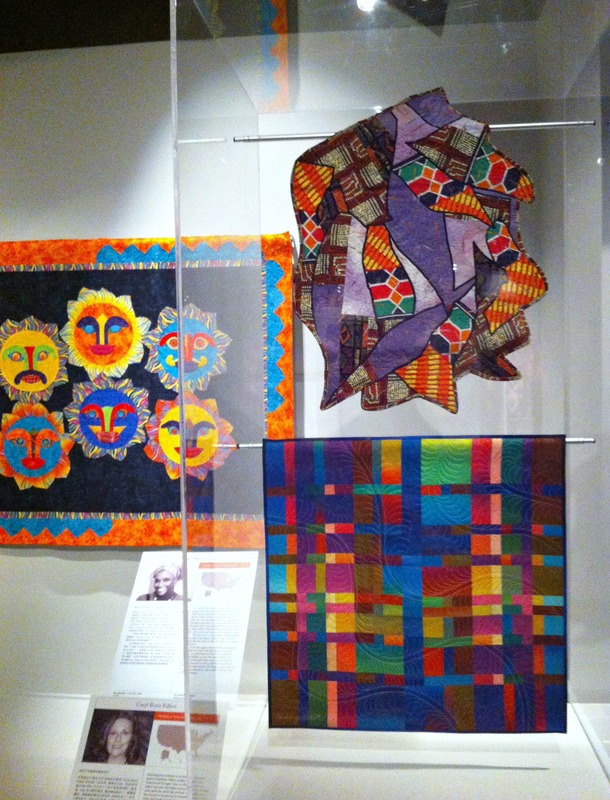 The three quilts shown above are by Alicia Avila, Edna Patterson-Petty and the one on the bottom right is by Caryl Bryer Fallert. 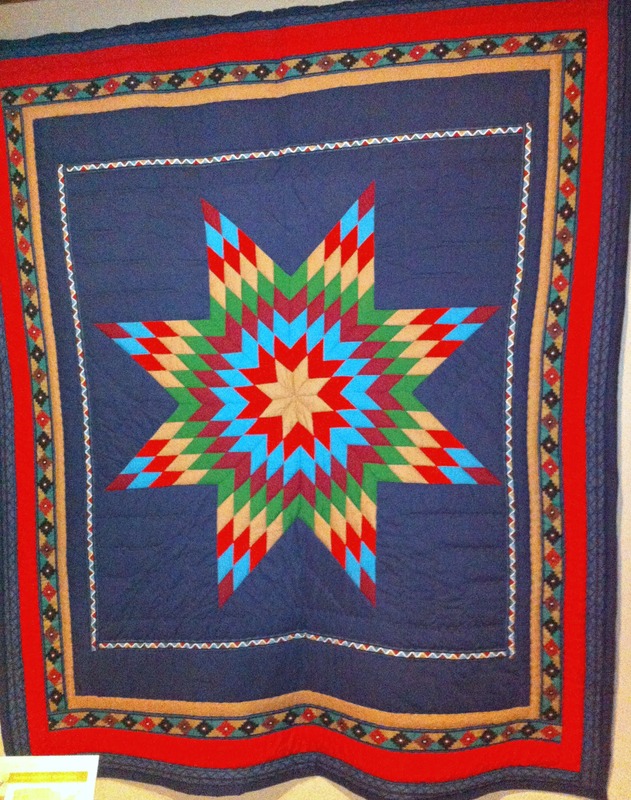 This Star Quilt by Patricia Renault Stuen (a Chippewa) is made in the tradition of Plains Indians; stars are favored by the Indians in part because the design reflects their beliefs associated with the solar system. 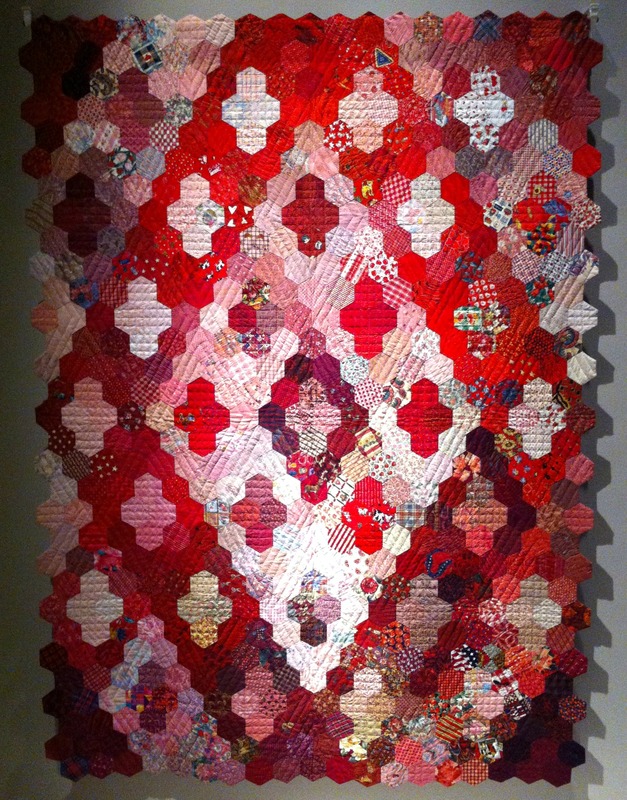 Patricia Cox’s Floral Fantasy is hand-appliqued and hand-quilted in the Baltimore Album style. Patricia lives in Minnesota. 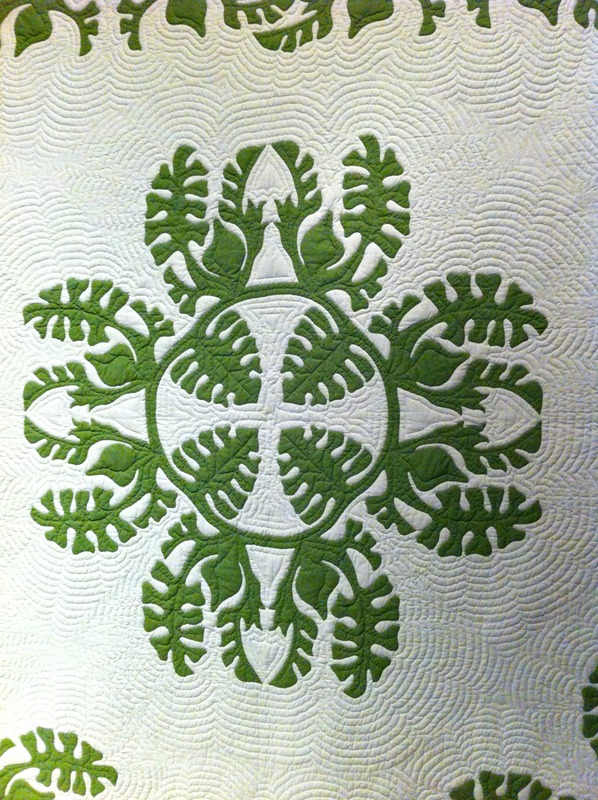 Hawaiian quilts–so totally unique and steeped in tradition! 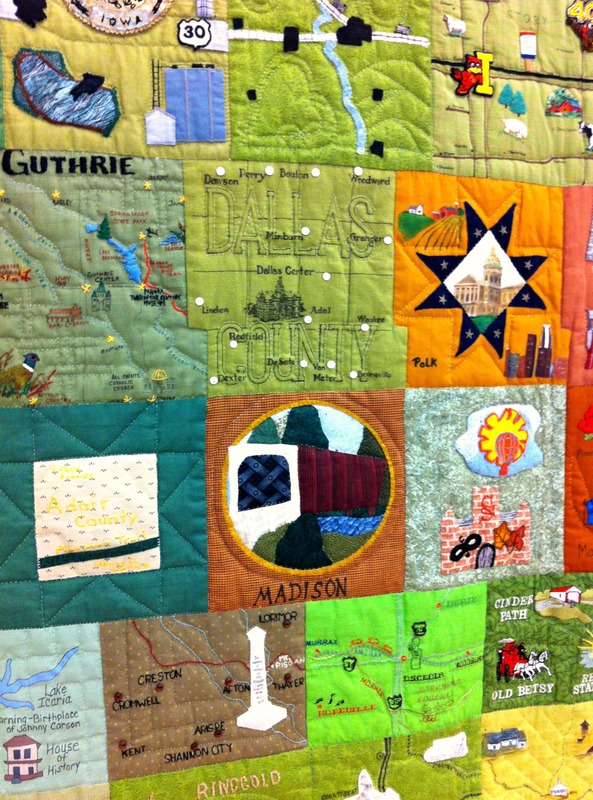 Each of Patricia Lei Murray’s quilts tells a story about her family or community heritage. Ku’u Kanae I ka La’l o ka Malu is dedicated to her father. 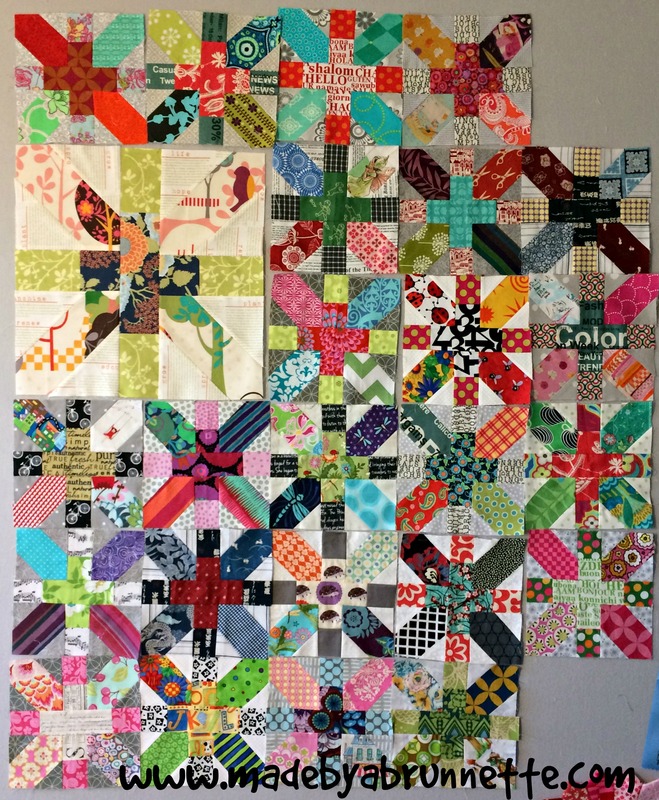 This is Rise & Shine, Inner City by Martha Ginn from Mississippi: She made the Y-units and then laid them out in gradating colors to piece them together. 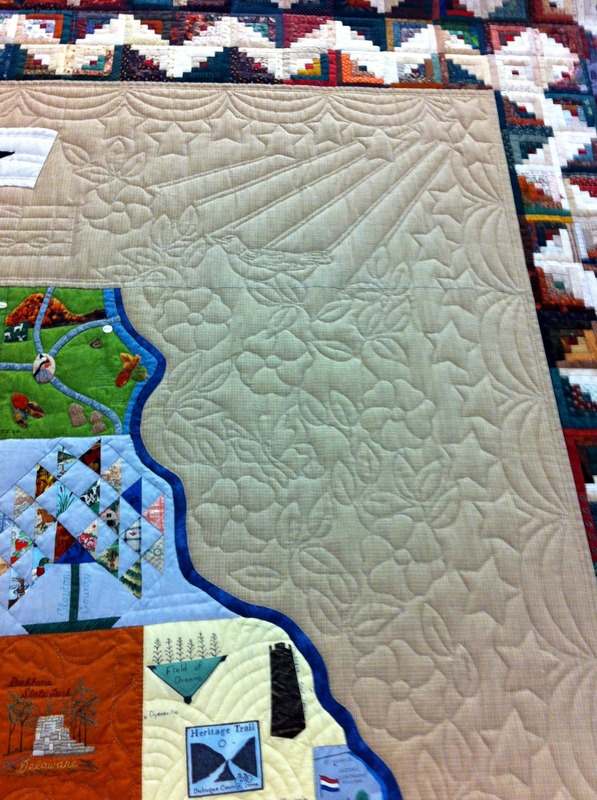 I was entranced by these next few quilts. 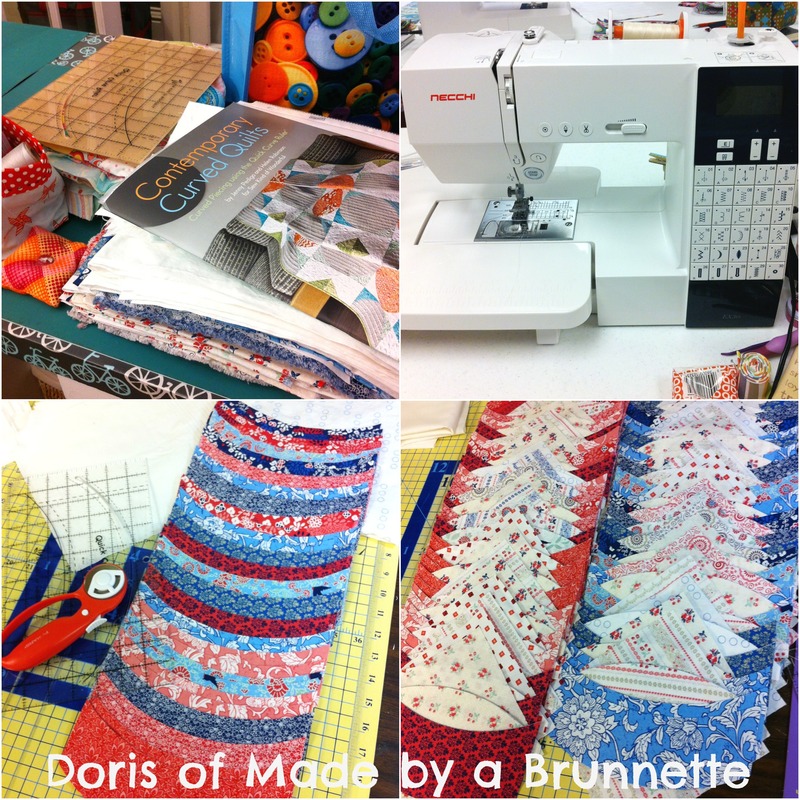 Tomboy Bride by Betty J. Collins of Tennessee is a piecing masterpiece! 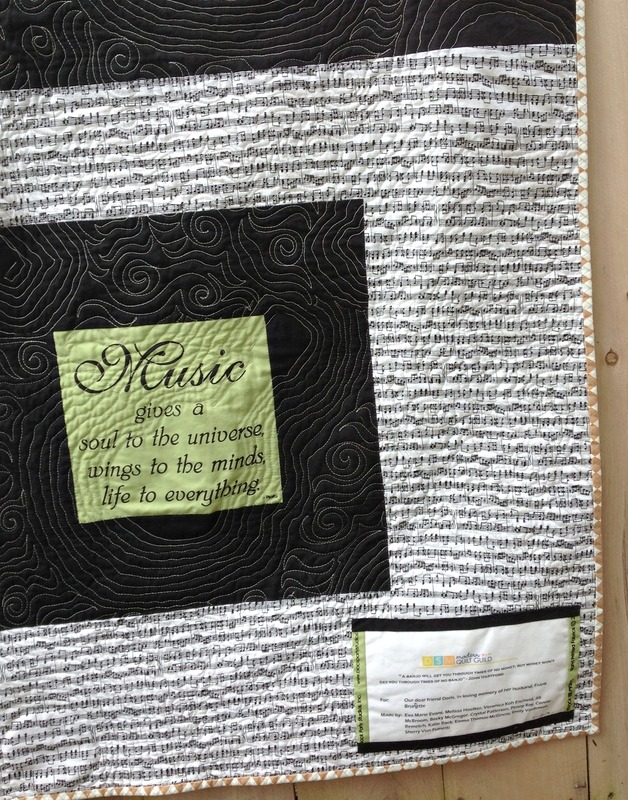 It is hand-pieced and hand-quilted using more than 120 different fabrics. 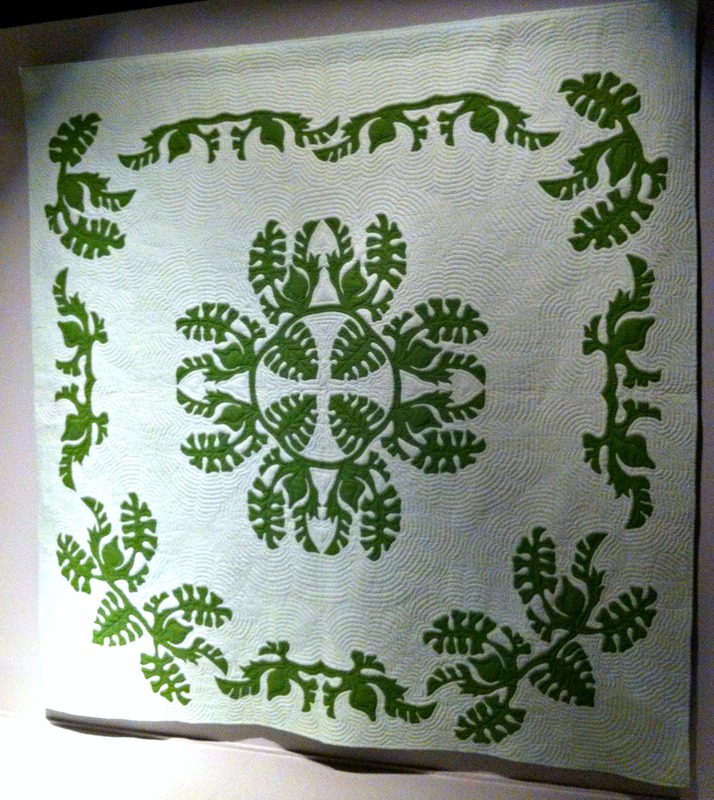 This is a traditional block pattern that would have decorated a wedding quilt. 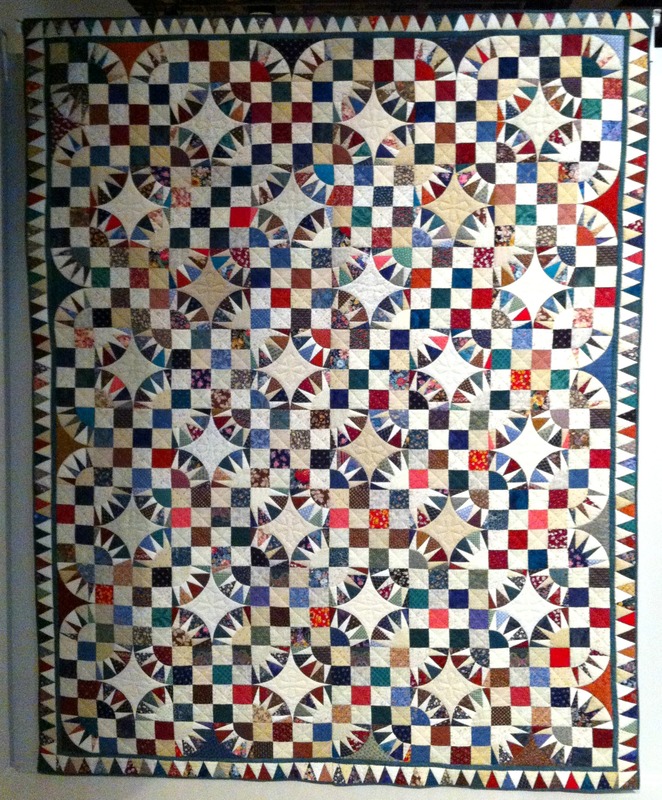 This is Subtle Sixties by Linda Roy, hard to photograph as it was in a dark corner, but the detail on this quilt is astonishing. 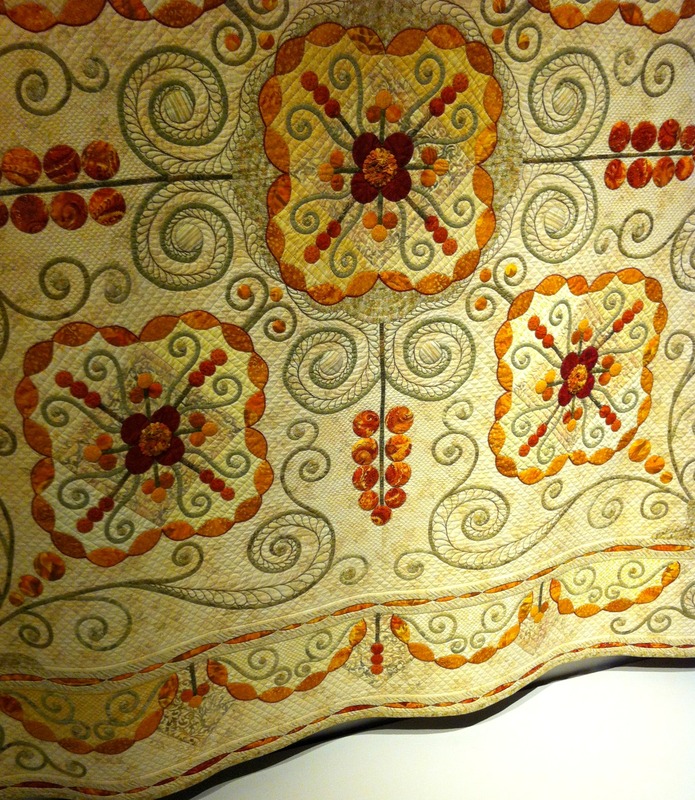 There is couching, ruched flowers, yo-yos, reverse-applique, metallic thread art, teeny-weeny quilting stitches… you name it. All expertly executed. 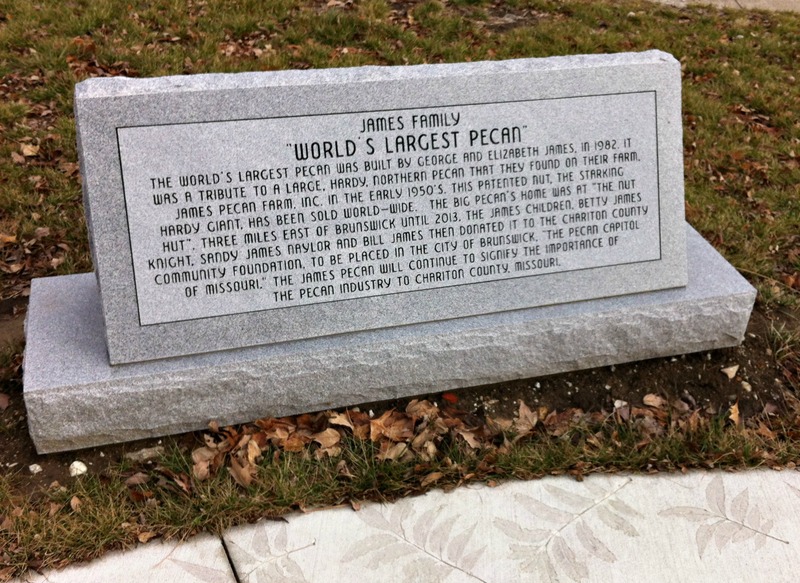 If you get a chance to see this in St Charles, MO this Spring or Summer… or next up, Winter Park, FL, don’t miss out. 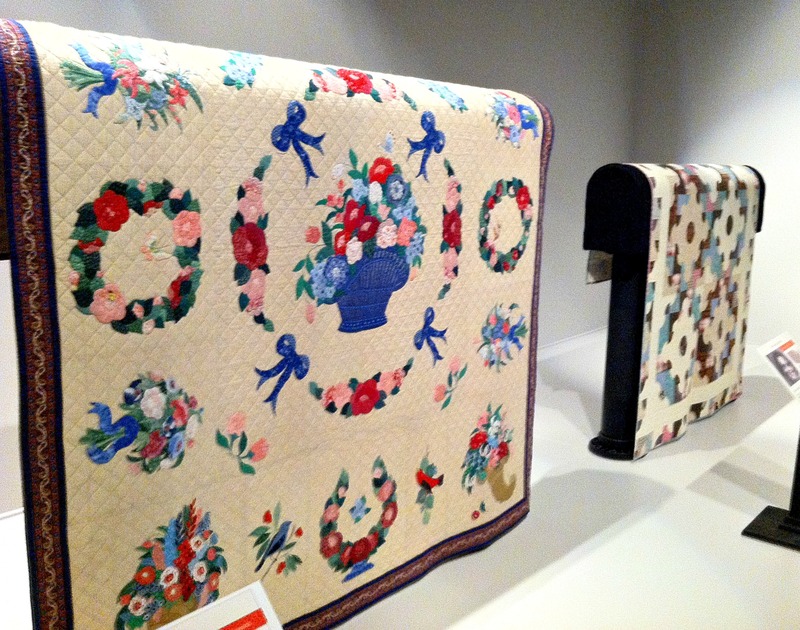 These quilts are amazing and the narrative of the exhibit is so well executed. 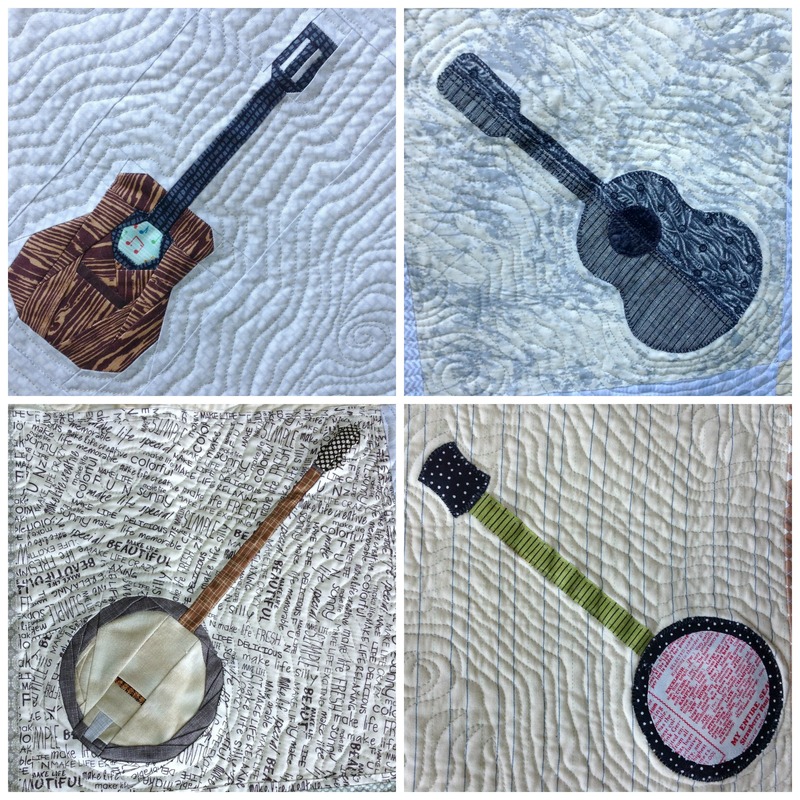 Just as I finished writing this post, I discovered there is a Flickr Gallery of all of the quilts–better pics than some of mine and the quilts I missed snapping a photo of are included there. 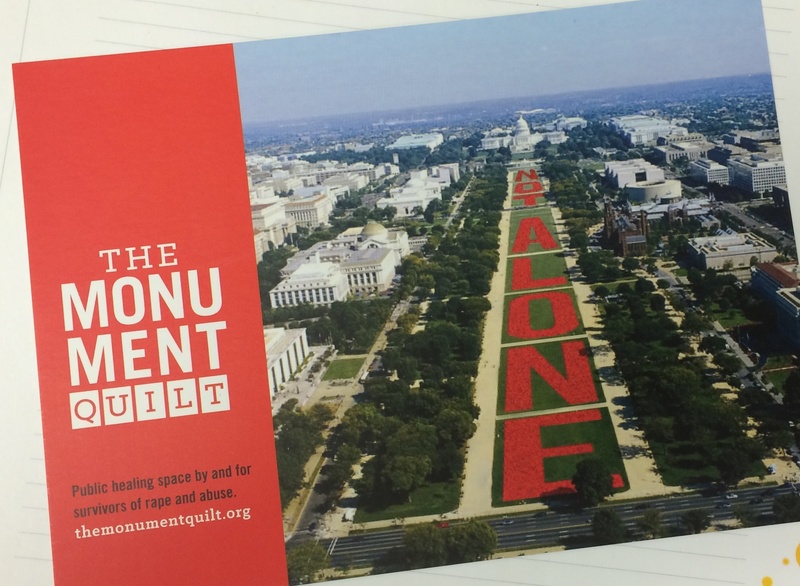 Yes, there is one, it was yesterday… and it’s no joke. 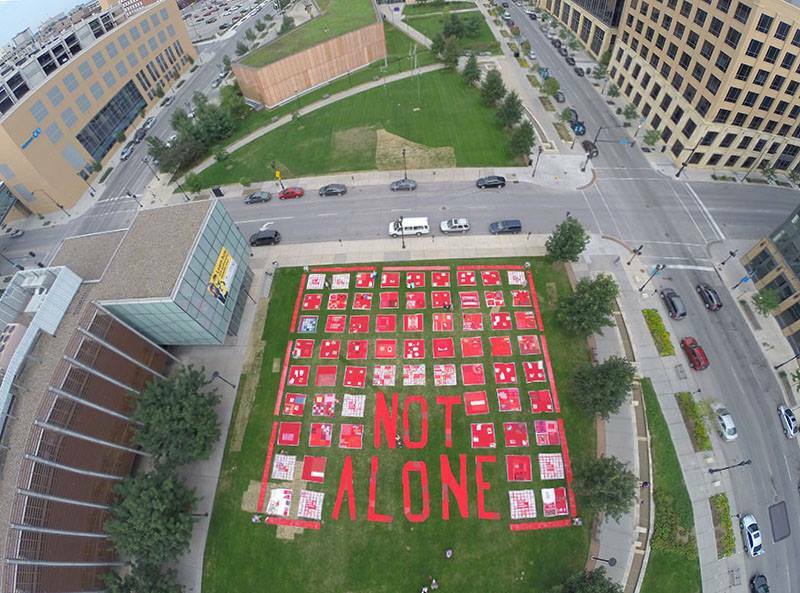 Quilting isn’t just your grandma’s past-time anymore… Today, quilting is a $3.58 billion industry in the United States with 21.3 million quilters, nationwide. 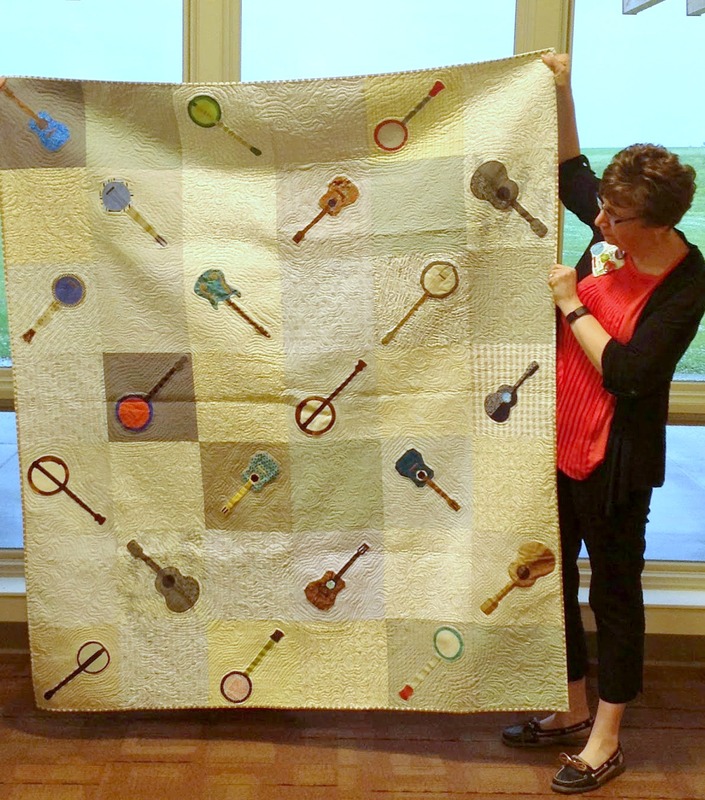 14% of U.S. households are home to at least one active quilter. 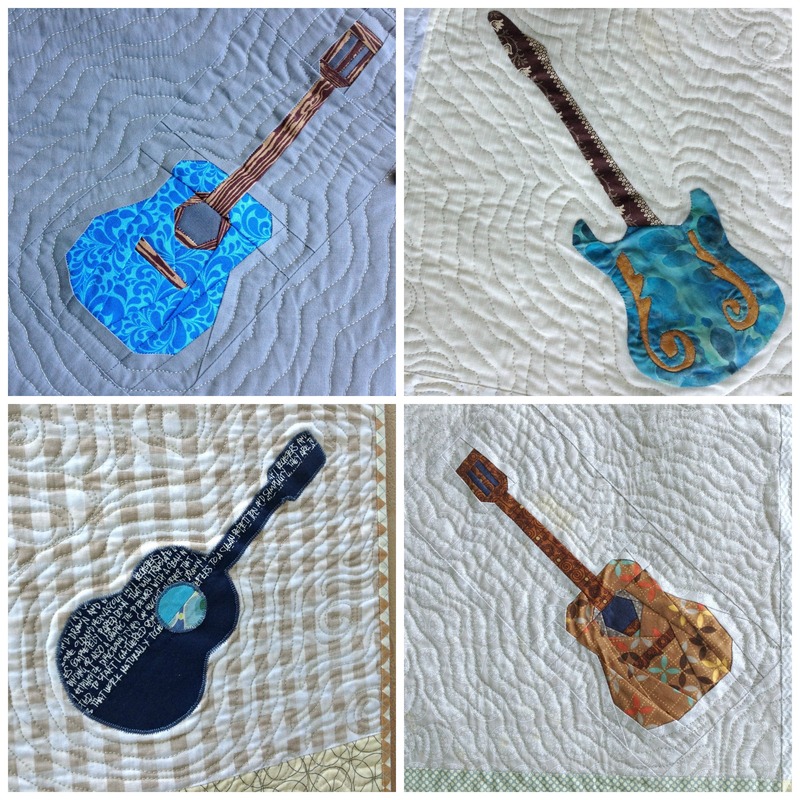 The internet has contributed to the explosion of this industry, through on-line shopping, but also by connecting quilters from all areas of the globe. 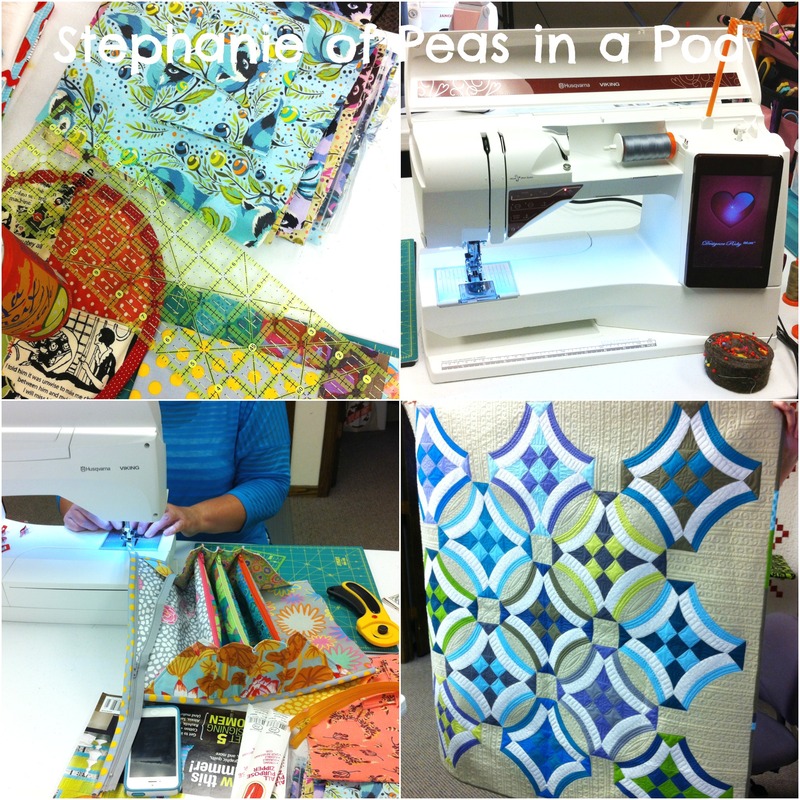 I have quilting friends in India, the U.K., Australia, mainland Europe & Asia. I’ve met some in person, many I’ve gotten to know through my blog (as well as their’s) and through email and social media. 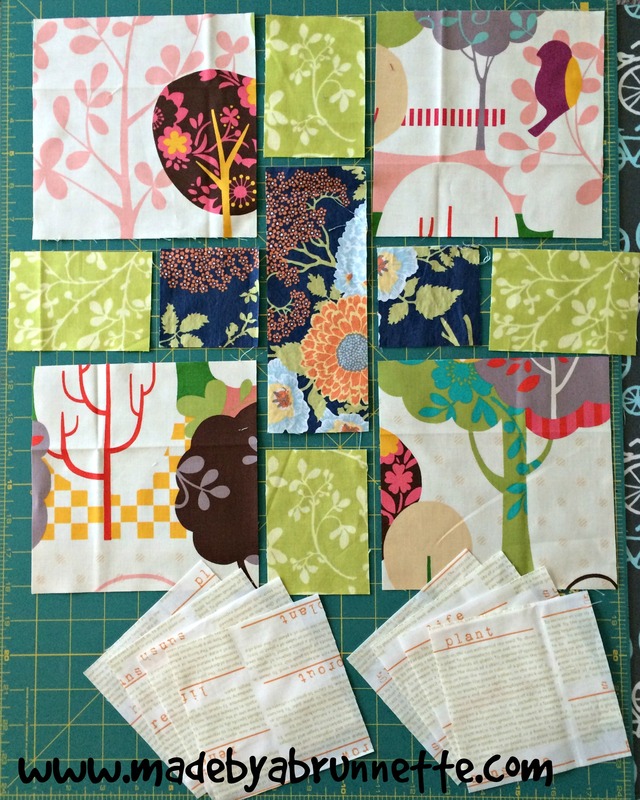 I know my family, friends and co-workers think I’m nuts when I get excited for a weekend that I plan to spend quilting. They just. don’t. get. it. 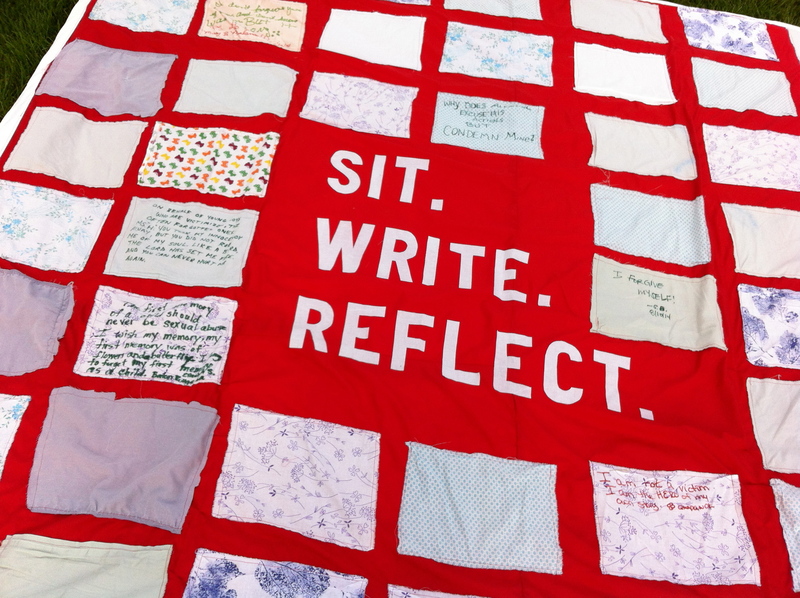 But these quilt retreat weekends have been some of the best weekends of my life. 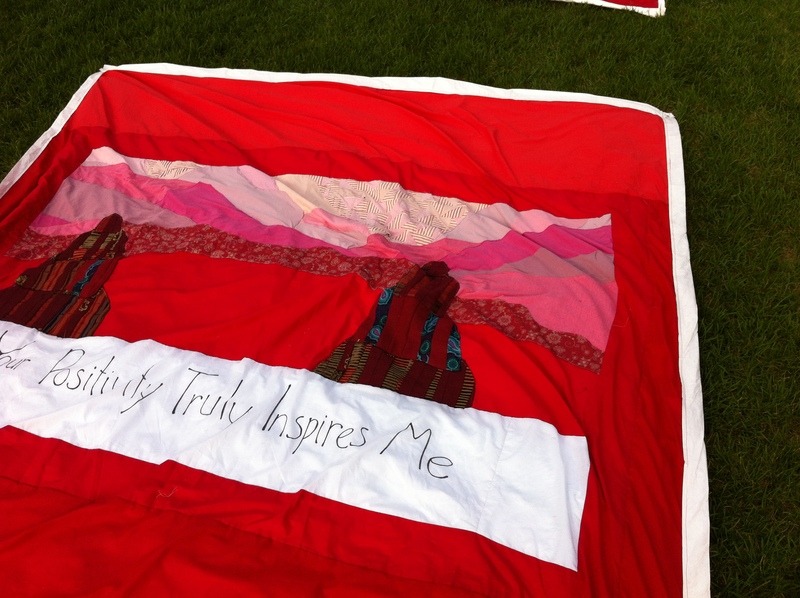 In the summer of 2010, I took a giant leap of faith (for an introverted homebody like myself, anyway) and met up with a dozen quilt bloggers from all over the United States, at Grubers Retreat Center in St. Cloud, MN. 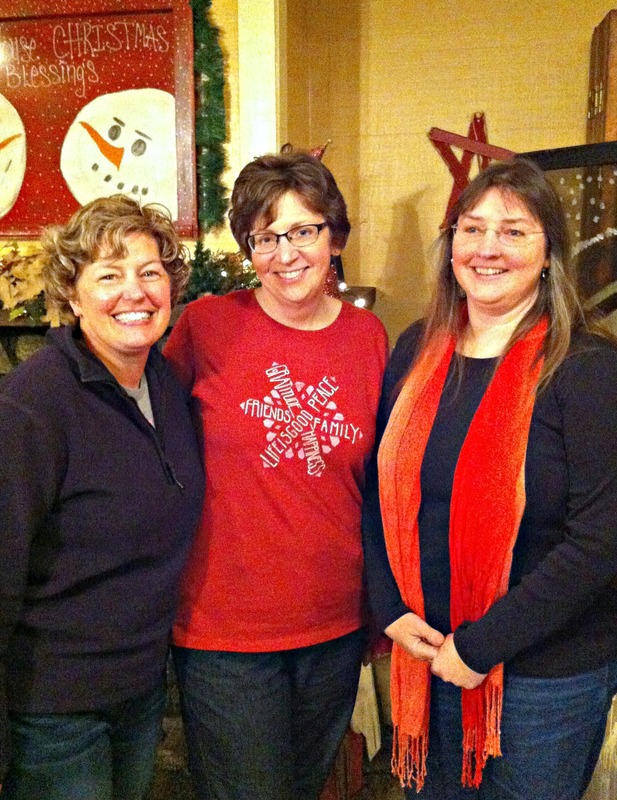 We hit it off, and had so much fun, we made the weekend an annual event! 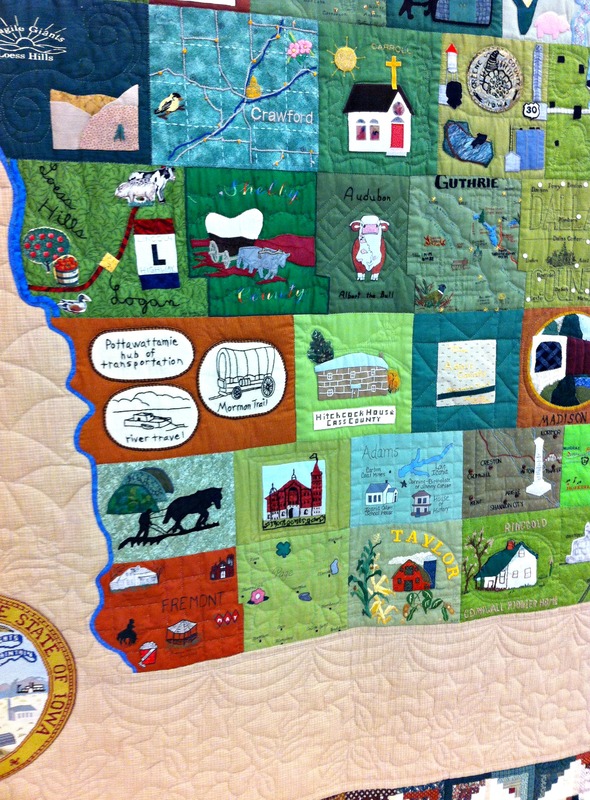 Every July, we trek to Minnesota from Iowa, Wisconsin, Michigan, Georgia, Missouri, Florida and California for a weekend with fellow quilters that became instant friends five years ago. It’s a shame we don’t all live in the same neighborhood. 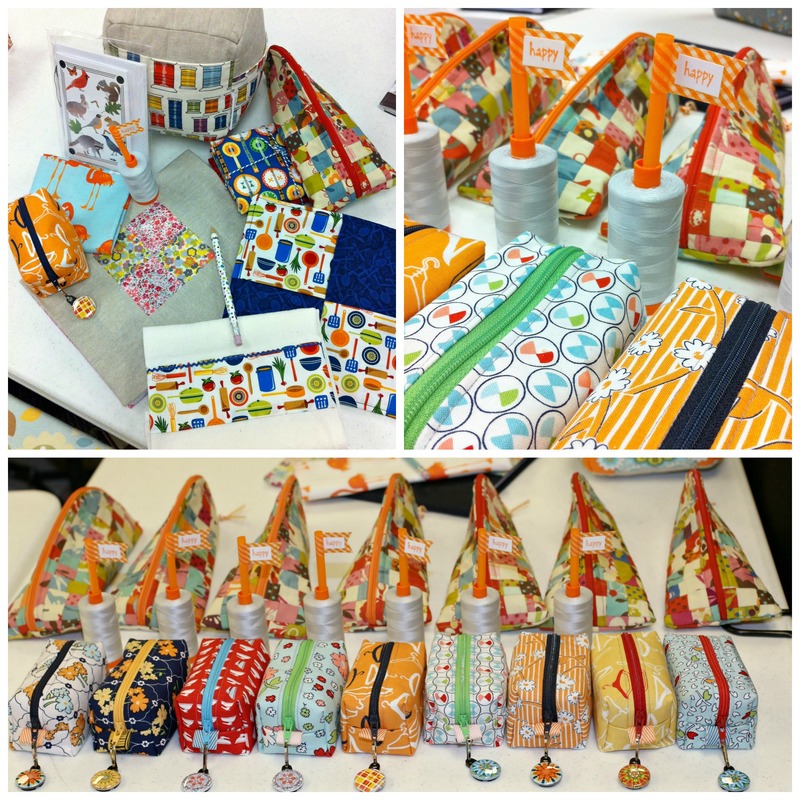 Cindy worked with these gorgeous shot cottons and she made a Sew Together Bag along with Stephanie and Terri. 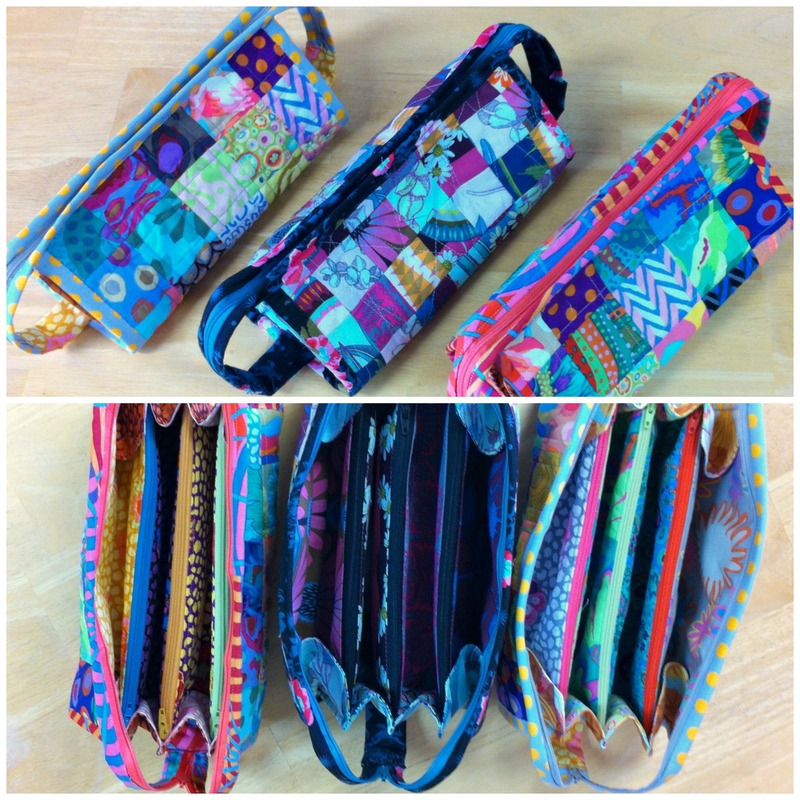 Terri sewed with beautiful Anna Maria Horner Pretty Potent fabrics all weekend–stunning! 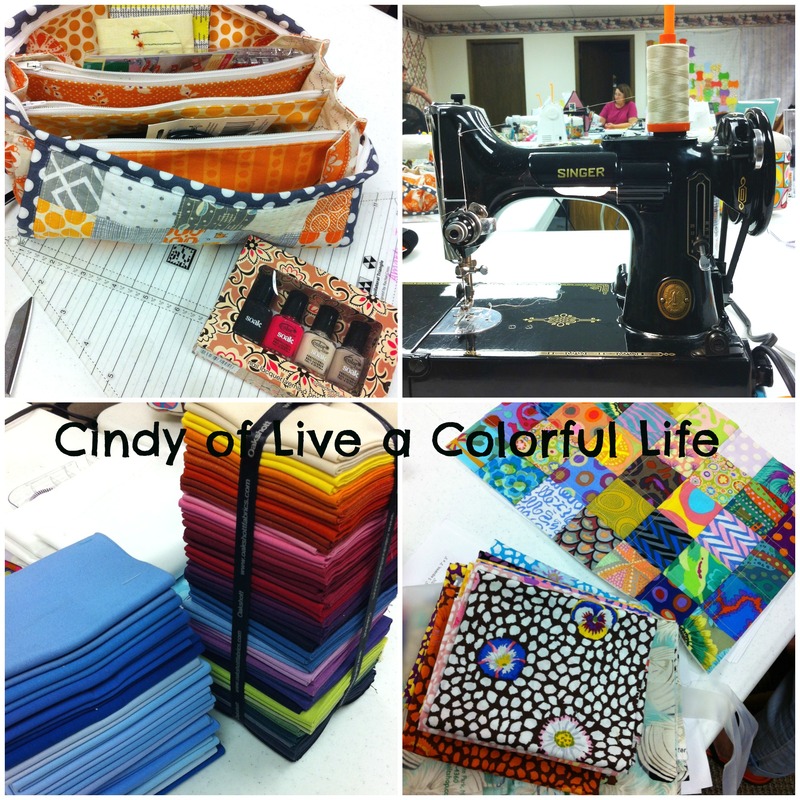 She also brought me a box of Sandi Henderson fabrics that I need to get around to playing with one of these days! 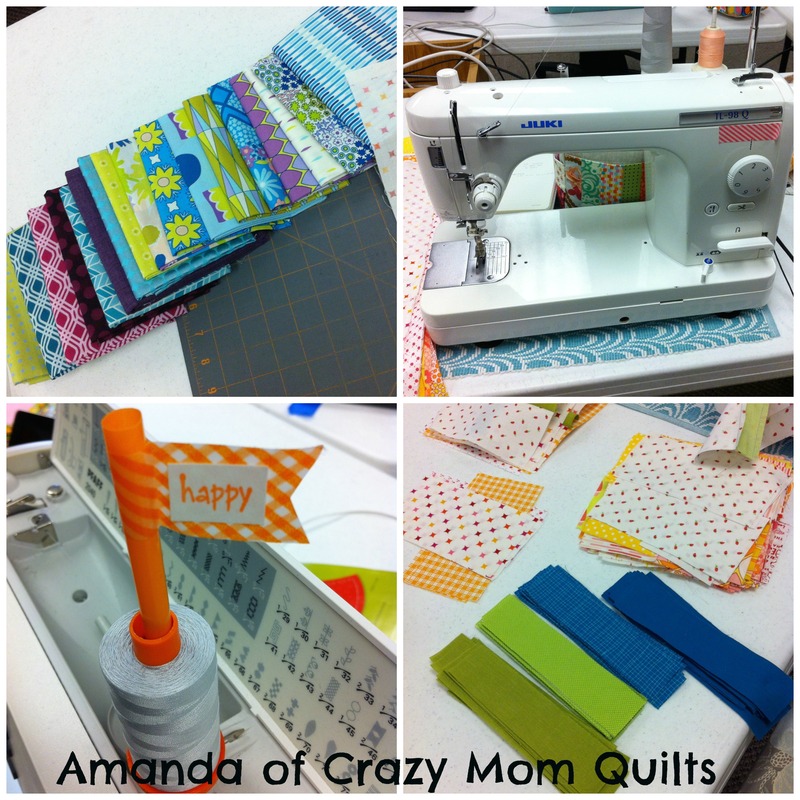 Amanda was playing with a new fabric line (which I cannot recall the name of!) and of course, her giant scrap basket she brings along each year! 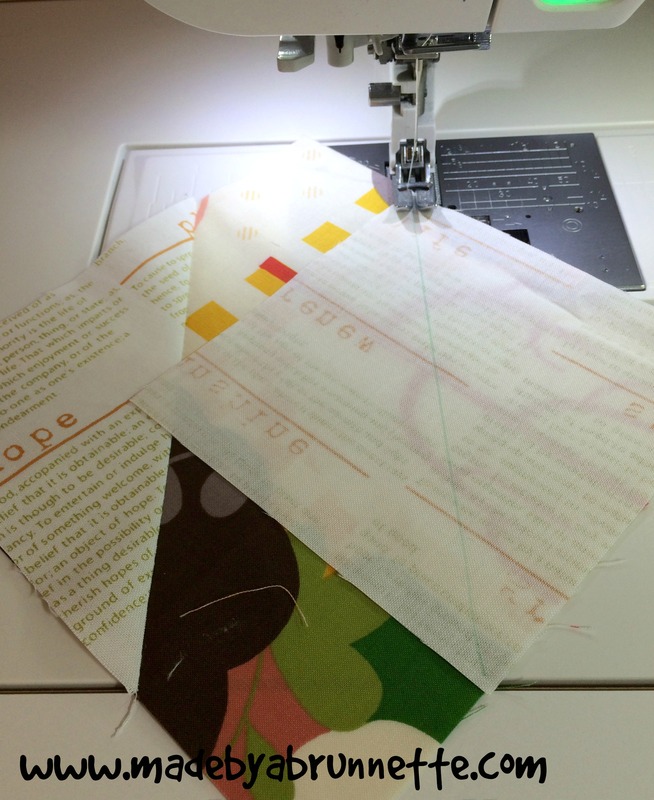 I worked a pattern from Sew Kind of Wonderful’s new book, and I have to admit it hasn’t made much progress since that July weekend. The fabric collection is Vintage Summer for Blend Fabrics (something I saw at Quilt Market in KC and could not pass up!!!) 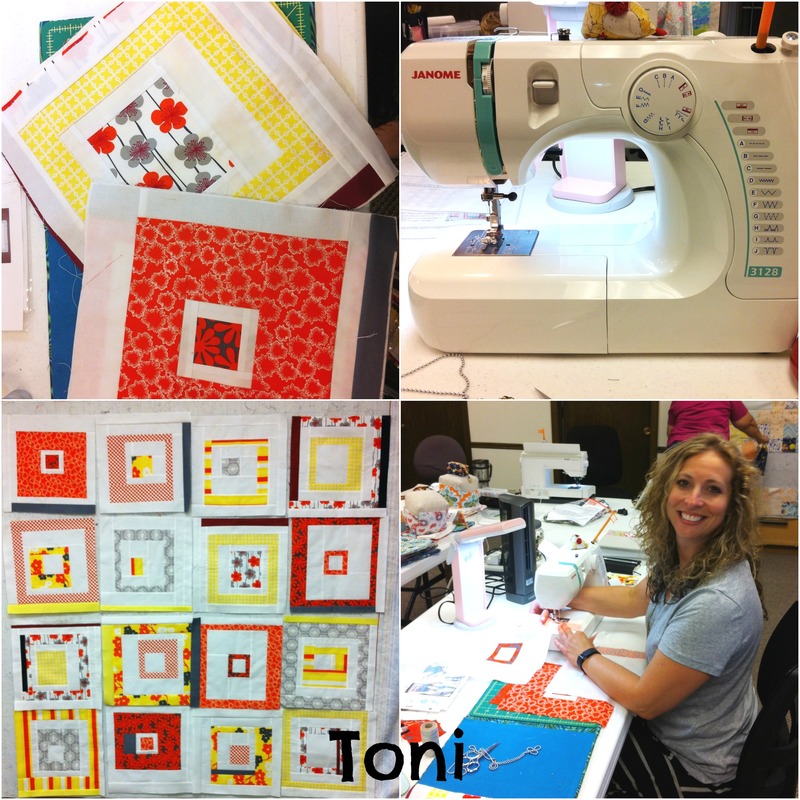 Toni (who never really took to blogging) finished up a top she had worked on the year before, such bright and cheerful colors! 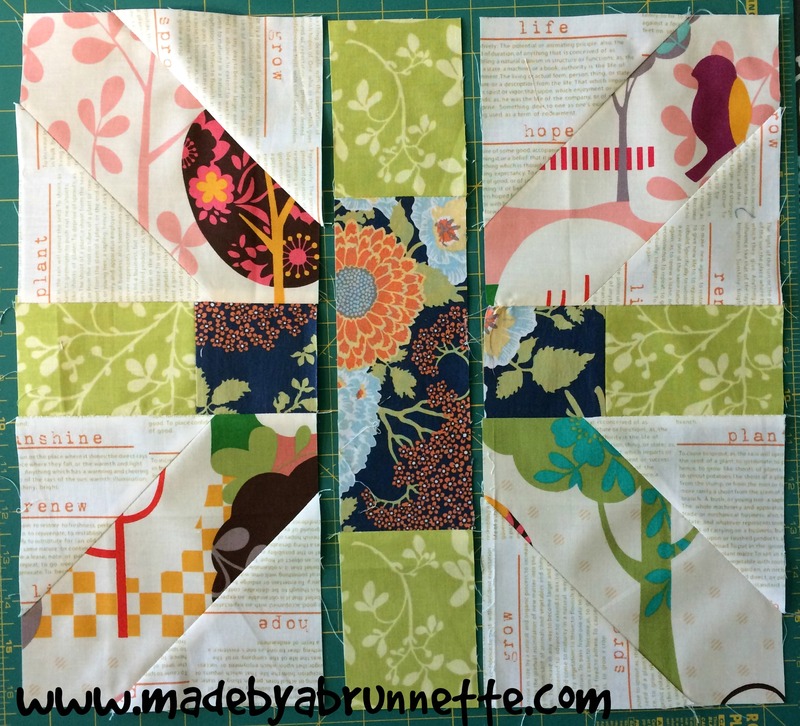 Rene worked on piecing her Quilting Bee blocks together–a fabulous quilt! 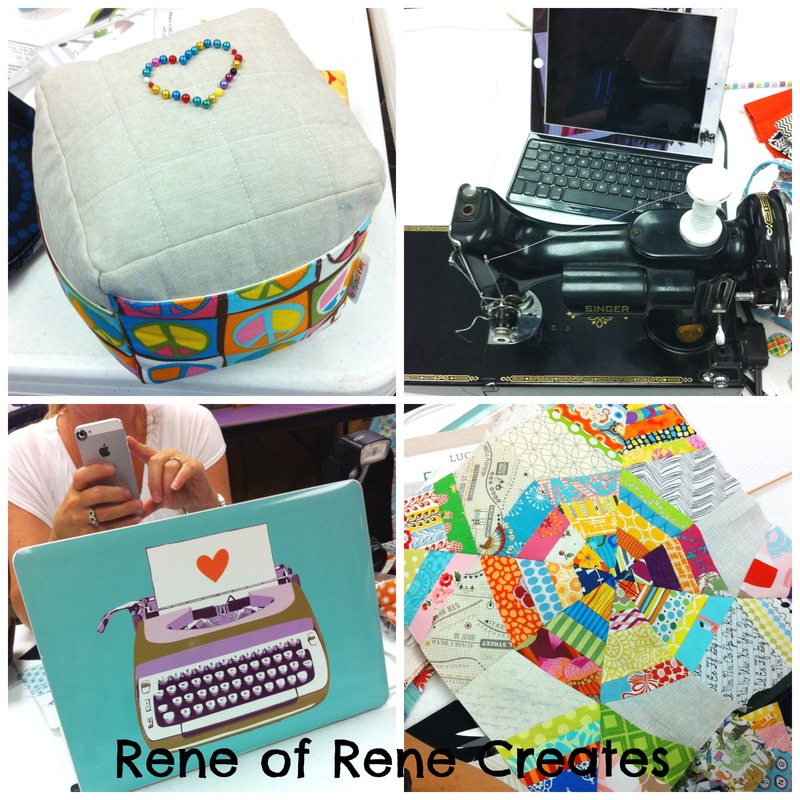 (I love the contradiction of technology at Rene’s workstation!) 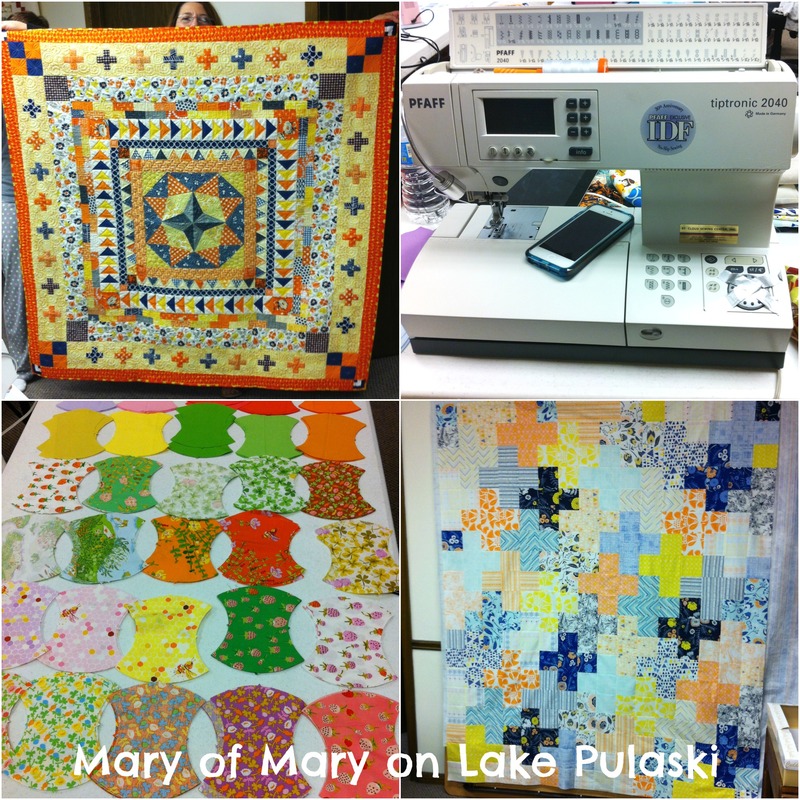 😉 Mary always produces like crazy at these retreats–she finished the Plus quilt top, and made a pretty good dent in the Heather Ross apple core quilt. 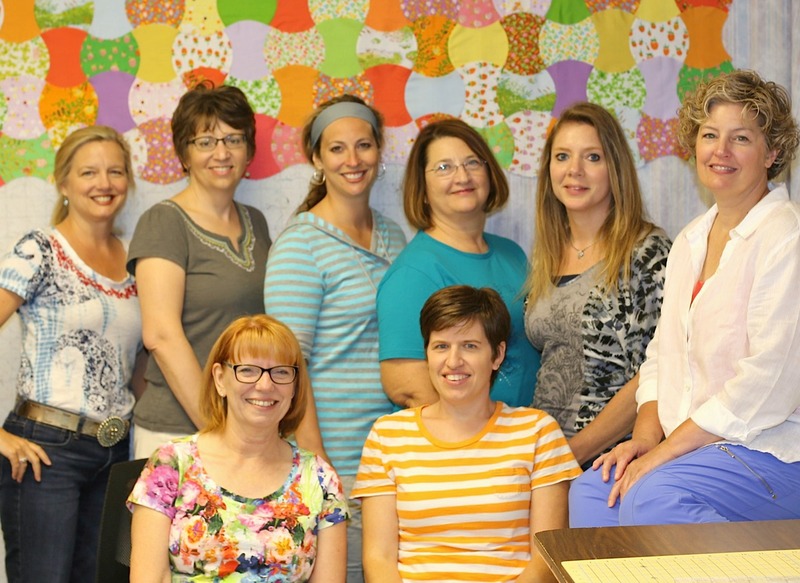 (it’s the backdrop in our group photo above). 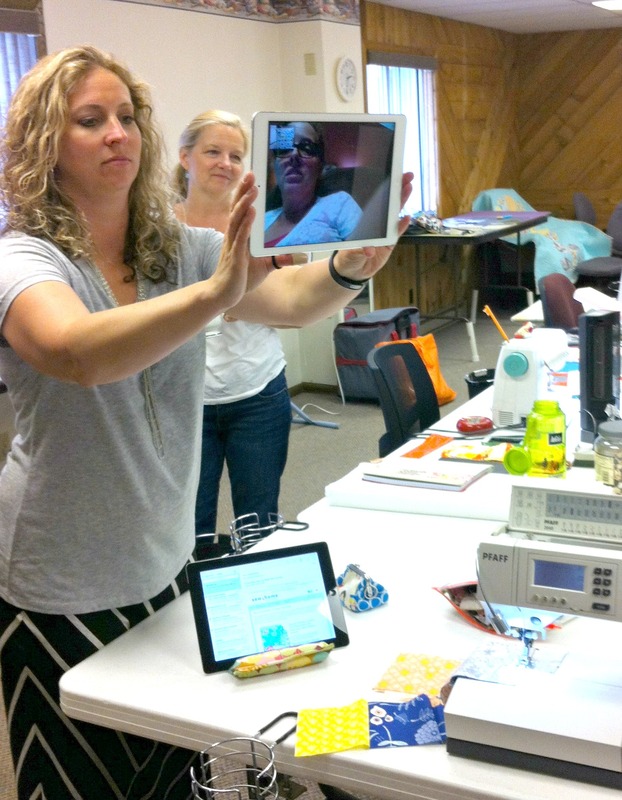 The beautiful Marcelle Medallion (top left) is what she brought for show-n-tell. We also have a tradition of exchanging “happies” at these retreats, just a little something for no reason but to make someone happy. 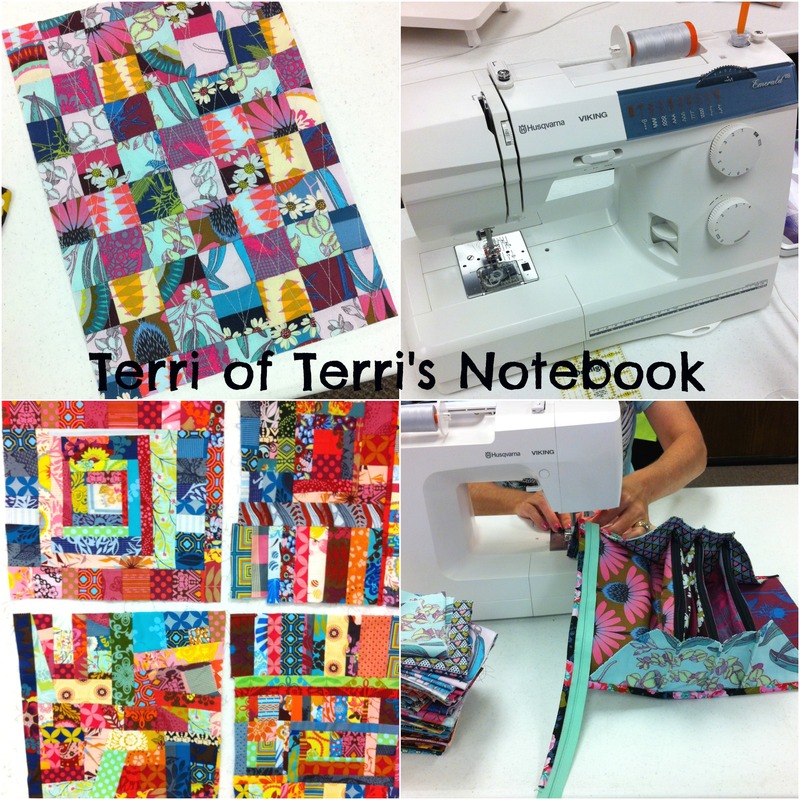 Terri gave us each notecards with her own graphic design on them, Cindy made us giant pincushions with storage pockets, Mary made us patchwork bags and homemade caramels (yum! 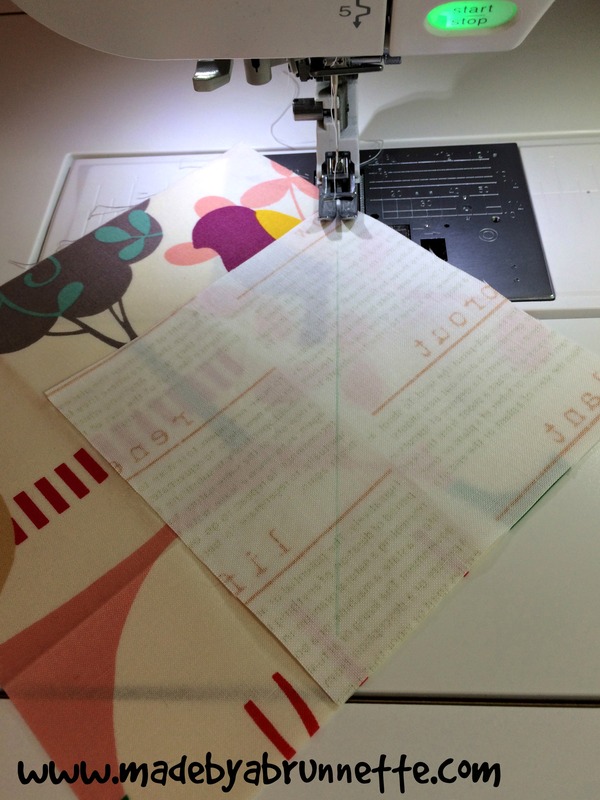 ), Toni and I gave everyone a matching towel/potholder set, Rene made us journals and we all got a flamingo FQ from her, Amanda’s happy included a spool of Aurifil and the adorable little “happy” flags, and Stephanie gave us each a mini duffle–adorable. 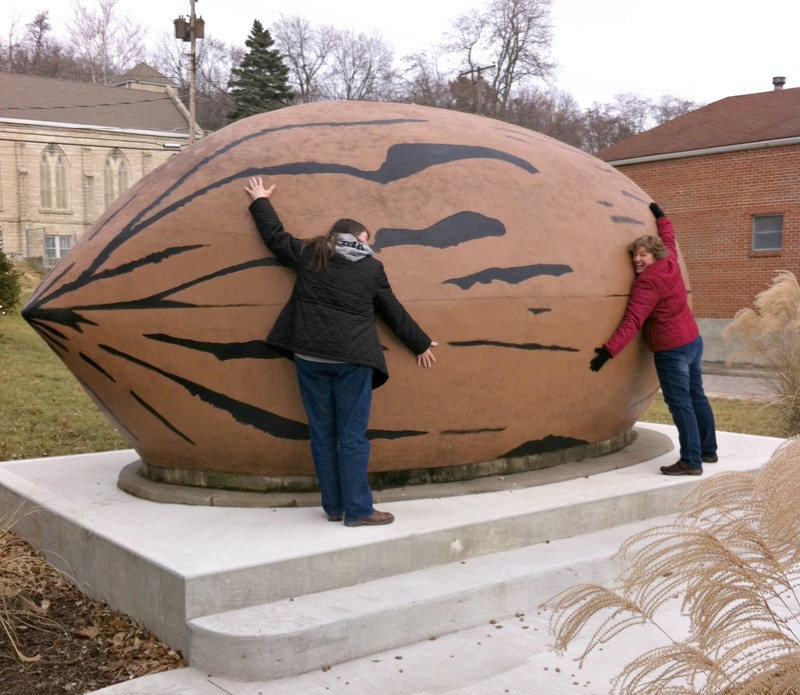 That would be Shelly and Stephanie showing some love to the pecan. When one goes through difficult and dark times, you find out who your friends really are. I’ve been reminded in countless ways that I am greatly blessed and surrounded by caring, loving friends. 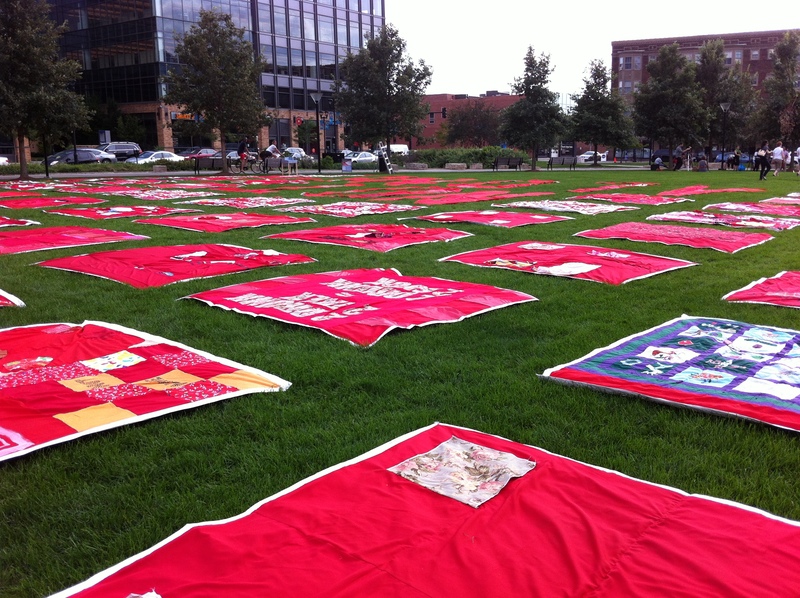 My Des Moines MQG friends started making a quilt for Frank as soon as he was diagnosed. In addition, they dropped off a gift card for me each week to use at a healthy grocery store/restaurant near the hospital. 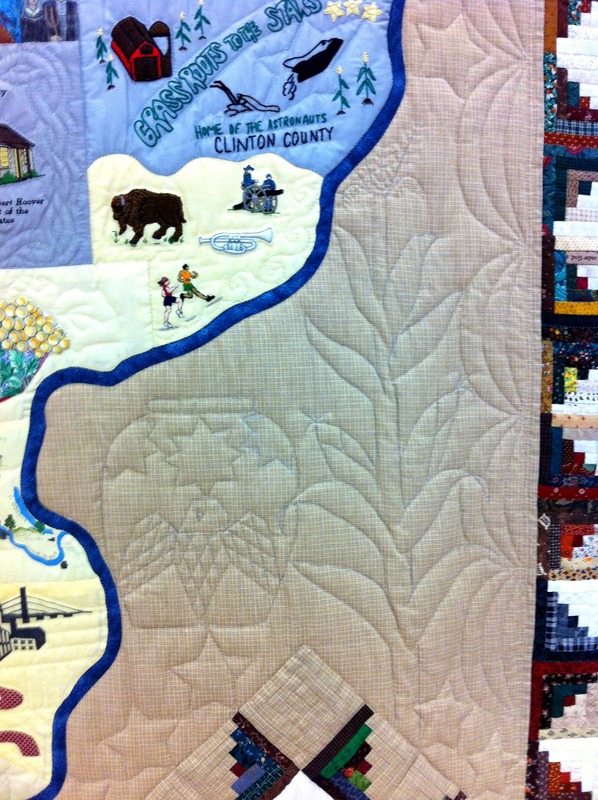 When he passed away two weeks later, they decided to finish the quilt anyway, and give it to me. 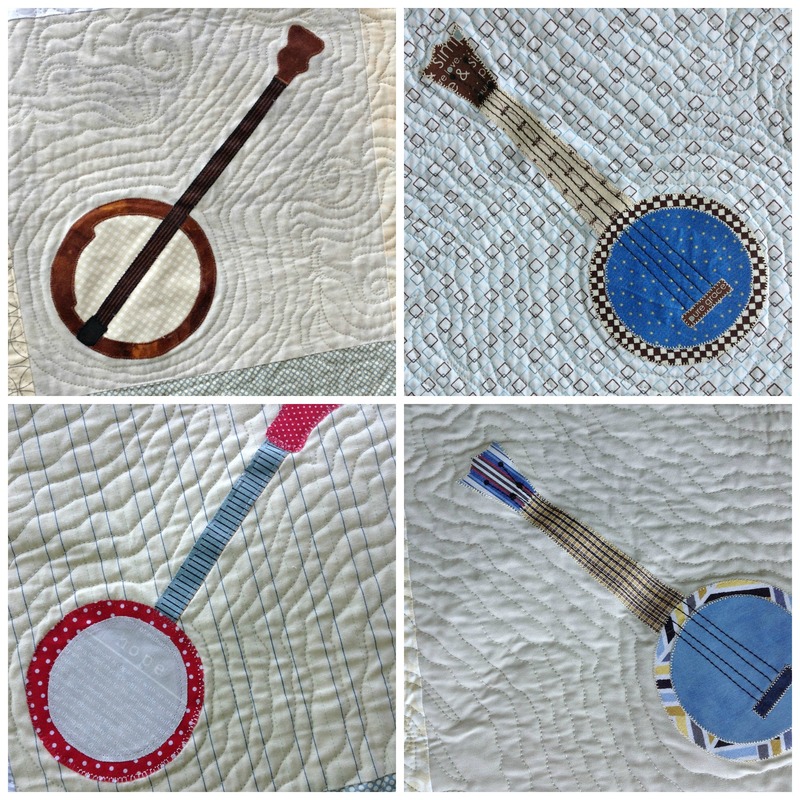 I finally attended a meeting again a few months later, when they presented it to me: Frank played the banjo, guitar, and mandolin and was as interested in music as I am fabric. 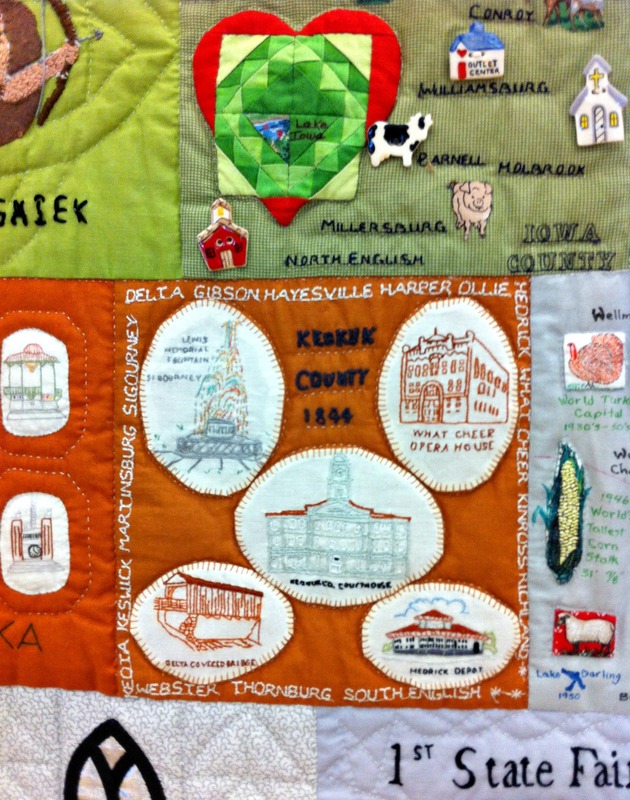 He knew very little about quilts when we started dating, and I remember us visiting a small neighboring town, and they happened to have a mini quilt show on display in the Public Library. 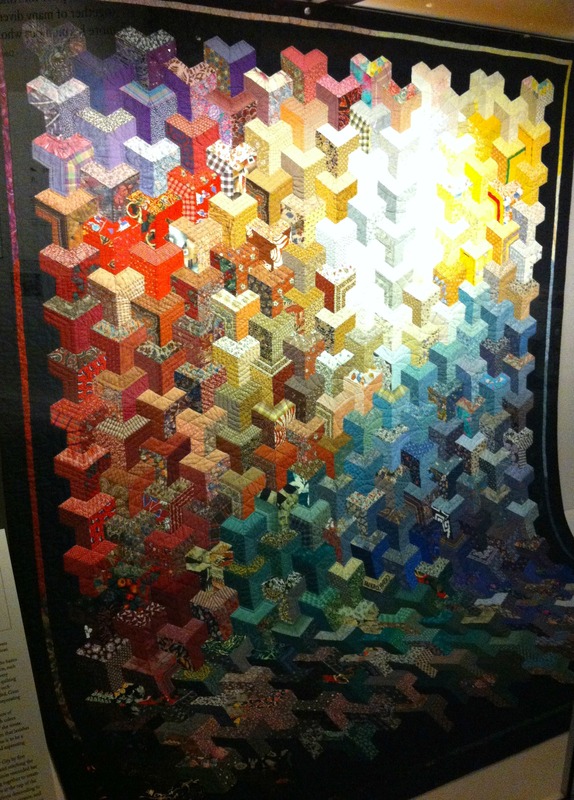 He asked a lot of questions, about what makes a quilt a quilt, the layers, the process, block names. 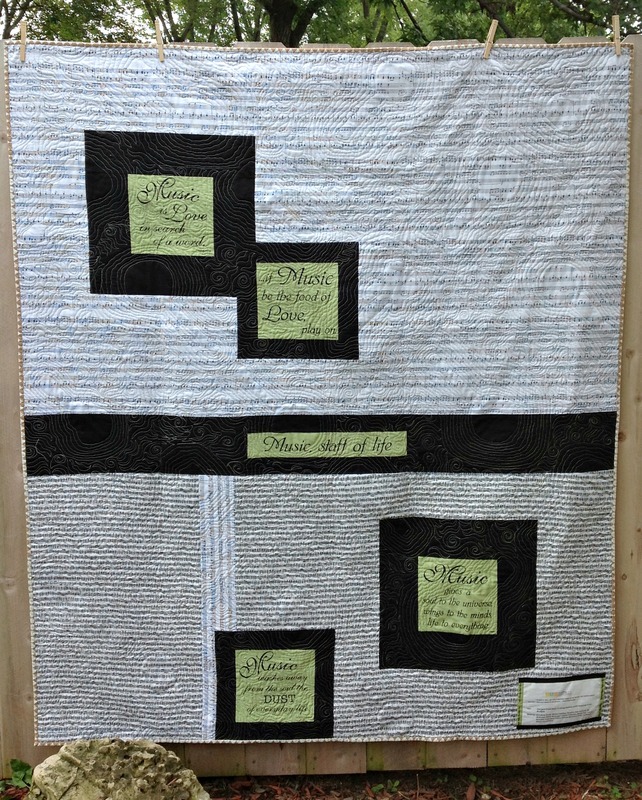 He even read some of my quilting books over the years, learned to identify certain traditional blocks (so he could impress my friends by knowing the lingo), and enjoyed visiting quilt shops with me just to see “how one differed from the next”. 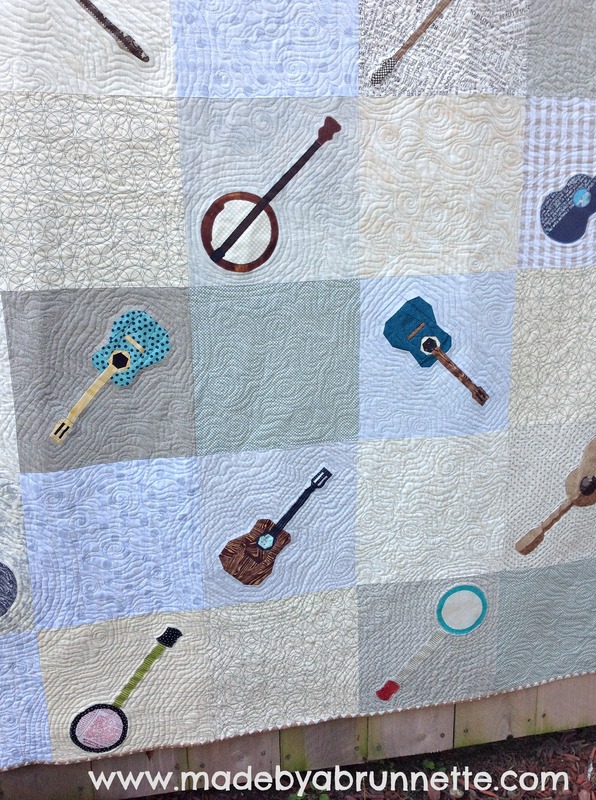 The fact that this quilt combines his hobby and my hobby–he would have been over the moon for it! 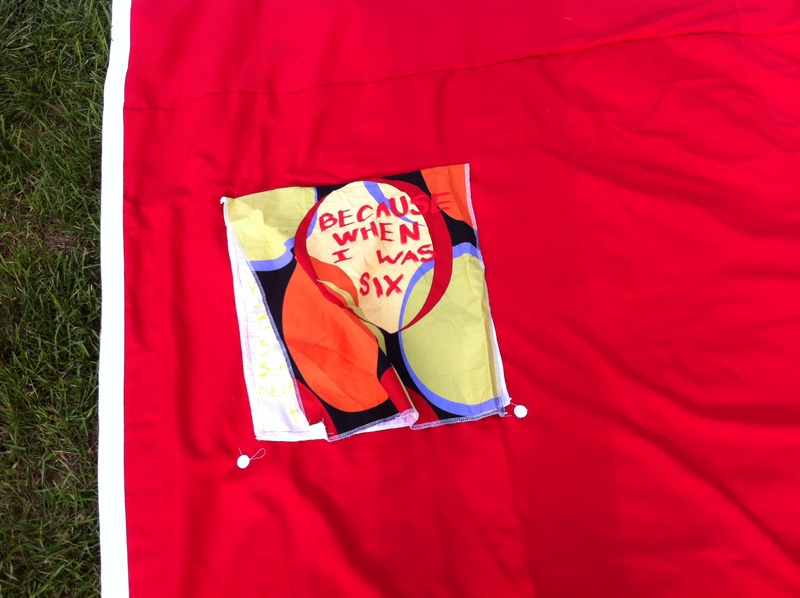 then they passed it along to another member who quilted it (using echoing lines to give it the feel of the music reverberating). There is a label on the back with all of their names. 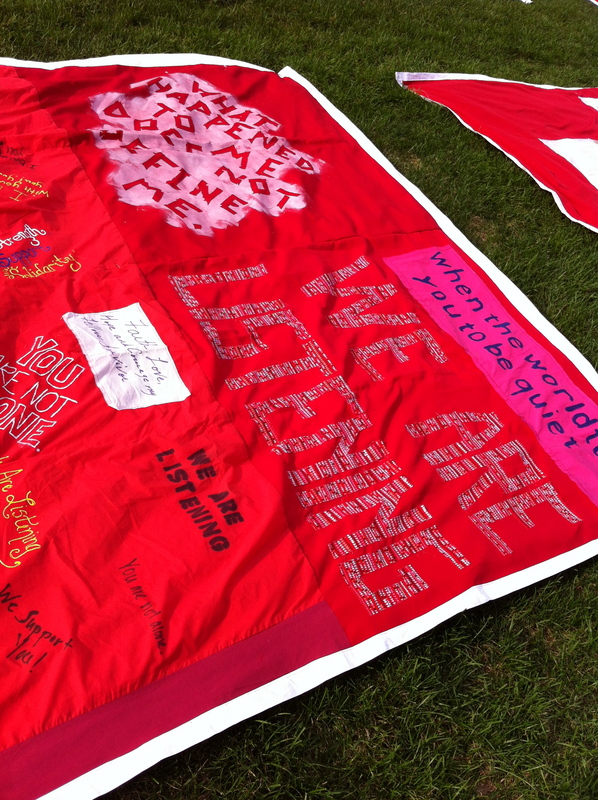 It’s a shame he never got to see this quilt, he would have been so impressed and so touched. I am. It reminds me of him, and as I said, the fact that it combines our favorite hobbies makes it all the more special. Thank you, again, for everything.